We are engaged in designing and manufacturing of PLC & Automation Panels that that is widely appreciated for longer service life and high efficiency. All these panels are hard wired; PLC based and electrically controlled and are used for various machines. Available in various specifications, these are offered at industry leading prices. We also meet customized requirement for our clients benefit. We work in close coordination with our clients, while designing and manufacturing our range of PLC & Automation Panel to meet their specified requirements. These panels are manufactured using high grade raw material and quality tested components. 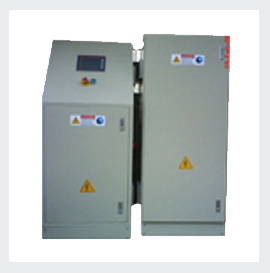 To assure precision functioning of these panels, the units are wired and functionally tested to ensure their reliability and continuous operation.